Perhaps unwisely, I mentioned this chapter at a recent family gathering. As soon as I brought up the deregulation of home education, my sister-in-law gasped and exclaimed, “You’ve become a Republican!” Her comment amused me. I still consider myself a liberal, but I no longer believe in a role for the state in the regulation of home education. 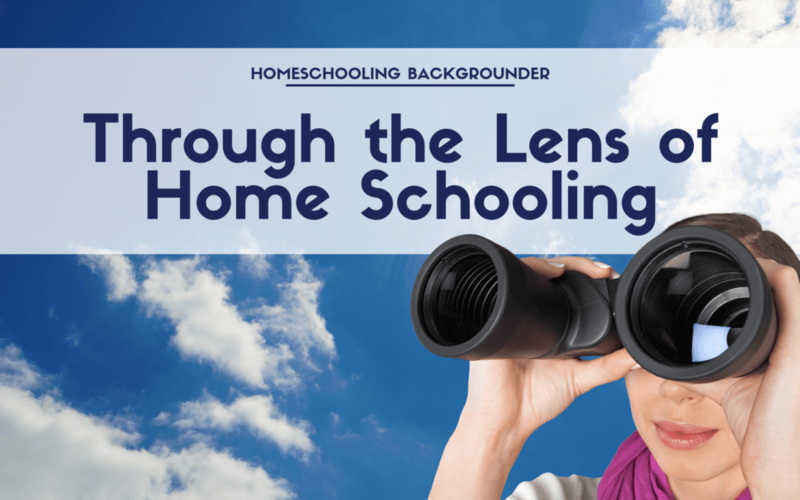 My direct personal experience as a homeschool mom and homeschool advocate, coupled with my continuing explorations of the history and philosophy of education, provide me with a new lens — the homeschool lens — through which to view school issues. This chapter presents a multi-dimensional view of “educational choice versus civic responsibility,” one that expands the discussion beyond a “lively and spirited debate” between politically liberal academics and politically conservative homeschool advocates. I point out that three additional voices should be heard. First, conservative academics would provide a new perspective on the regulation of home education by calling into question the efficacy of compulsory attendance statutes. Second, liberal homeschoolers would paint a more accurate picture of the diversity of homeschoolers and would confirm that virtually all homeschoolers, not just religious conservatives, regard the education of their children as a family’s, not the government’s, responsibility. Third, educational historians would remind us that today’s political school controversies are not new, but rather have been occurring at least since the advent of compulsory attendance…. Just who are “all those other parents”? Reich, while concerned about all home schooling parents, assumes that “most home schooling parents have religious objections to placing their children in … a school environment” (2001, p. 7). Apple is more explicit: he focuses his discussion on homeschoolers who are motivated by religious convictions because their motivations raise a number of important ideological issues in his mind (p. 173). While both Apple and Reich acknowledge, in passing, the many reasons that parents choose to homeschool, both authors seem most worried that the “common good” is at risk when religiously motivated parents are allowed to conduct their own children’s educations without state monitoring. Home schooling parents, however, cannot be sorted in such a dualistic manner. It’s important for analysts and policymakers to appreciate that home schooling families crisscross the political, religious, socio-economic, and pedagogical spectra. However, virtually all homeschoolers converge around one key point: the conviction that the full responsibility for our children’s education properly rests with the family, rather than with public officials. Source: Nicky Hardenbergh. Through the lens of home schooling. In Homeschooling in New View, Second Edition (Chapter 11), Bruce S. Cooper, Frances R. Spielhagen & Carlo Ricci (Editors). Information Age Publishing (2016). ISBN: 1681233517.